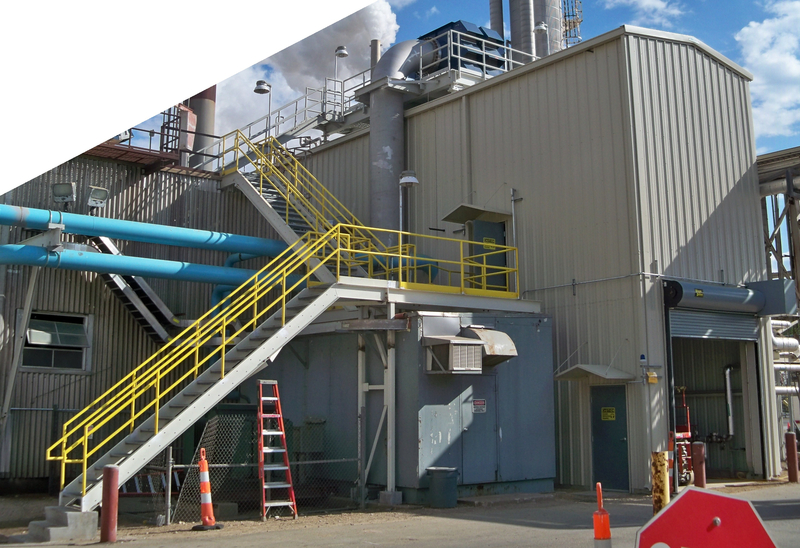 This project involved relocation of the inlet air filter to an air compressor, demolition of the old structure on which the air filter sat, and specification of a new name-brand air filter with new piping. 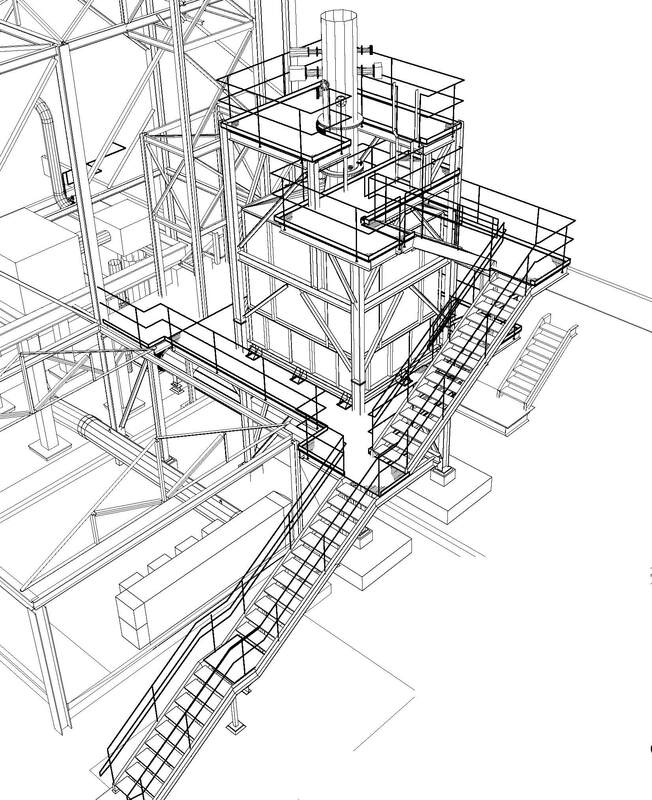 The new SCR structure involved engineering, construction, and installation, with subsequent placement and tie-in of the SCR. The existing stack was abandoned, with a new stack installed, including provisions for easy operator access for testing. The customer desired a larger compressor, to be installed while the existing compressor train was in operation. A used compressor, expander, and turbine were located. 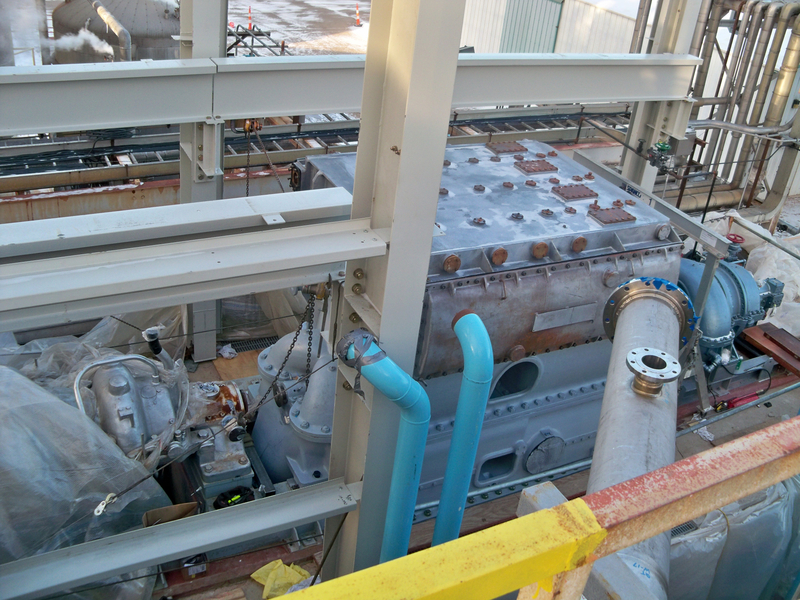 Pre-buy inspection was conducted, followed by bidding and selection of overhaul shops for complete overhaul of the rotating equipment, and successful salvage of the existing damaged intercoolers. The building was shoehorned into a very tight space with no interferences (Novatech conducted a 3D laserscan first to avoid such). A new condenser and oil skid were also specified. 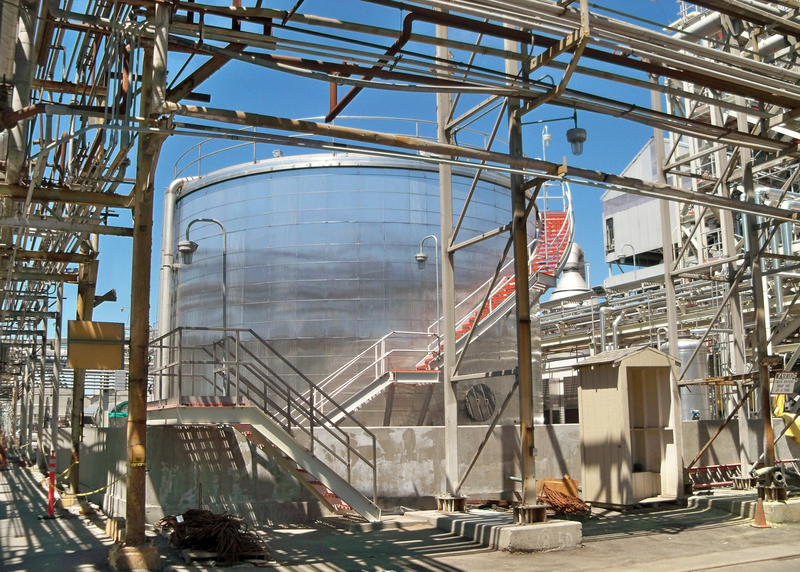 Novatech provided all engineering, overhaul oversight, and equipment & piping specifications; construction management support was also provided, and full commissioning, operator training, and operating procedures were handled by Novatech. The customer desired storage for AN85 solution brought in from offsite, for internal production processes. 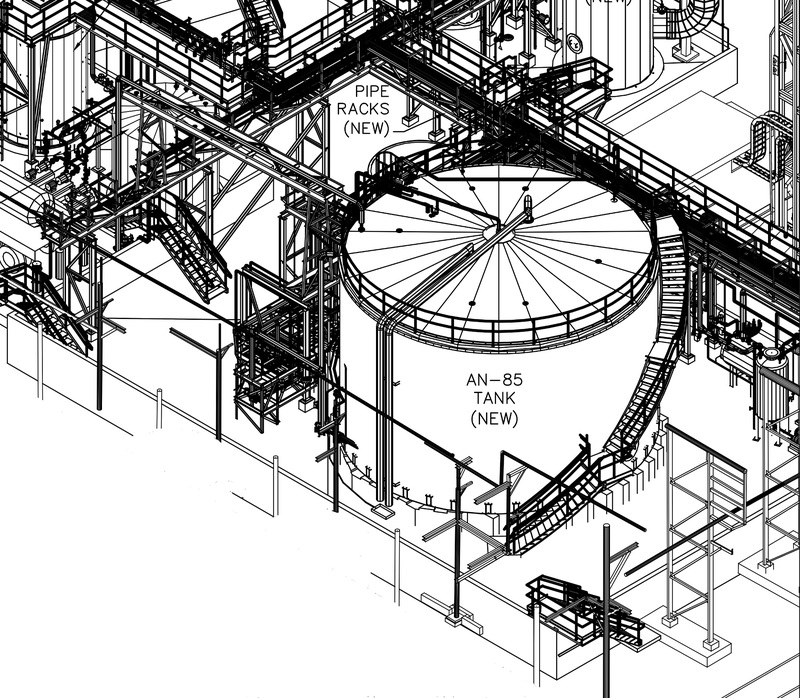 Novatech provided support in demolition of existing infrastructure, full design of the AN85 tank, pH and temperature control systems, steam handling system, containment with liner, ancillary blending & holding tankage, sump systems, safety shower system, and truck offload station. 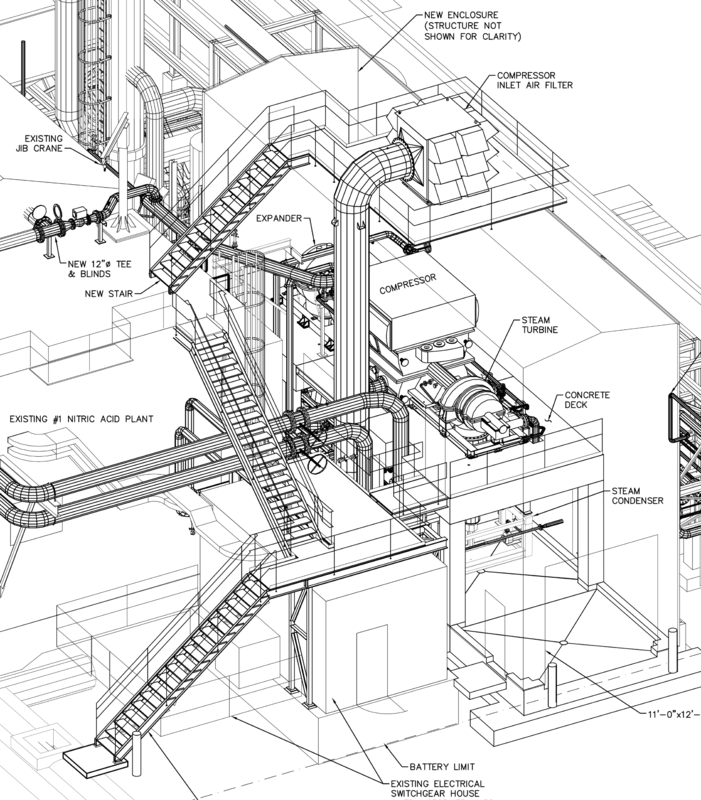 Novatech also provided complete specification of the fume abatement system. Again, Novatech provided construction management support in the field, operator training, full commissioning, and generation of operating procedures.